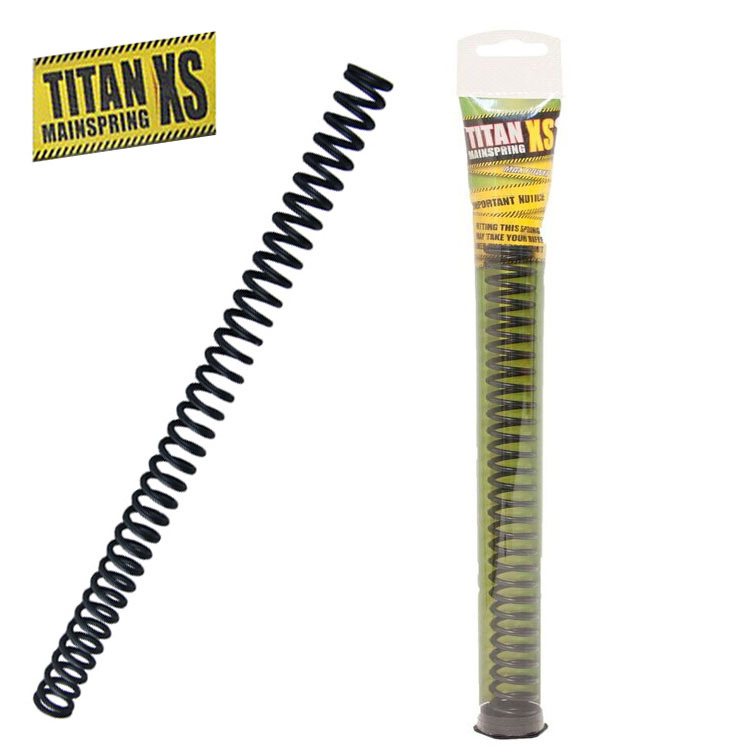 Each Titan XS spring is hand wound to exact specification, then heat treated and tempered to ensure ultimate performance and maximum durability. During the final tempering stage, they are coated with a specially formulated finish, a derivative of PTFE and Teflon that is hard yet flexible. Self-lubricating multiislip properties eliminates the need for conventional spring lubrication, however grease application is still recommended. The almost friction free operation of the Titan XS Mainspring reduces the possibilities of dieseling to a minimum. Maximum power is maintained for longer than most other springs. Titan XS Mainsprings do not lose power when left cocked for long periods. Please note: For the installation of springs into Air Rifles it is sometimes necessary to remove coils by way of grinding or cutting the spring. This is normal and should be taken into consideration before fitting. Please test your airgun with a chronograph to ensure you remain below the UK power limit. BSA Airsporter, Mercury, Challenger, 635 Magnum, Supersport, Lightning, XL, XL Tactical, XL SE, Superstar, Goldstar, Centenary. BSA Meteor MK6 & MK7, Comet. Gamo Sniper, Hunter 440, Commando, Delta, Apache, CF16, Rangemaster, CFX, Statical, Magnum, 1000, Shadow, CSI, Whisper, 68. We recommend use of Bisley grease when installing these springs.